Publisher: Ruth Nyaboe February 23, 2016 This information is provided solely as a guideline. • Make a list of health concerns and questions to take with you to your visit. Share the list with your doctor or nurse. • Describe symptoms clearly and briefly. Say what the symptoms are, when they began, how they make you feel, what triggers them, what (if anything) makes them stop, and what you’ve done to help them. This helps your doctor decide the best course of treatment, along with any tests you may need. • Tell your doctor or nurse what prescription and over-the-counter medicines, vitamins, herbal products, and other supplements you’re taking. Be honest about your diet, physical activity, smoking, alcohol or drug use, and sexual history. Discuss allergies to drugs, foods, or other things. Tell your doctor or nurse if you are being treated by another doctor or nurse, including a mental health professional. • Don’t be afraid to ask questions and don’t feel embarrassed about discussing sensitive topics. 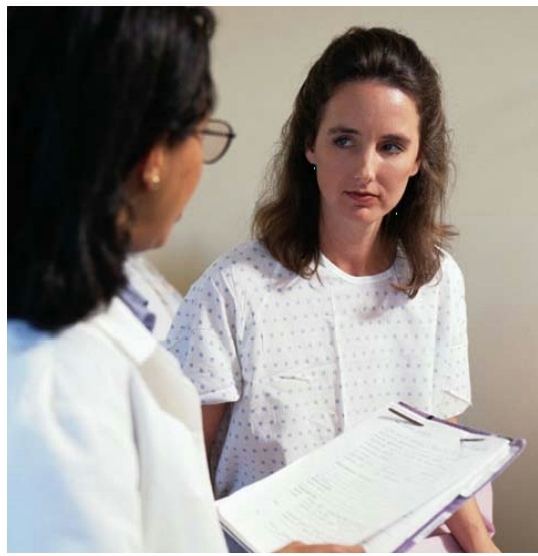 Your doctor or nurse is used to talking to people about personal concerns. • Don’t leave something out because you’re worried about taking up too much time. • Be sure you understand everything before you leave. This includes treatment recommendations and any follow-up tests or referrals. If you don’t understand something, ask to have it explained again. • Bring a family member or friend with you to take notes and offer moral support. An extra pair of eyes and ears can help you remember your questions as well as the answers. • Find an interpreter if you know you’ll need one. If the doctor you selected or were referred to doesn’t speak your language, consider bringing an interpreter with you.